There are many reasons why we should try and improve our communication skills, including when we are beginning to feel angry. Many arguments are started or escalate because of poor communication and misunderstandings. Often this occurs because we are pushed for time, cannot express ourselves clearly, or because we are trying too hard to say too much all in one go. By improving our communications skills some of these tensions may be avoidable providing less opportunity for arguments and anger to develop. The biggest way we can improve our communication skills is by listening more carefully to each other. Even if you have a different opinion that anyone else, listening to the views of others not only shows a mature and reasonable approach, but also gives you more time to consider the views of others, but also provides you with more time to mentally prepare your own view.When we are feeling angry or feel anger growing, we should try and take a few minutes to collect our thoughts and find a way of expressing how we feel and what we mean without losing our temper or allowing anger to affect our judgement or performance.Sometimes it can help to write our issues down before we bring them up with other people, this way we can make sure we have all the information to hand and can organise our thoughts more easily allowing us to express ourselves in a better way. How Will This Affect Anger Levels? 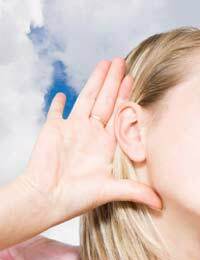 By listening more attentively and considering other people’s opinions we will be more able to appreciate the views of others. By doing this and having a reasonable conversation with people, we are more likely to have control over our thoughts and how we express them. When we listen to small fragments of conversations we can often misunderstand or jump to conclusions which can irritate or annoy us, sometimes enough to make us angry. Listening to others also helps to keep those around us calm, especially if they feel very strongly about their topic of conversation or burning issue. By showing them that you are listening properly to their view of the topic demonstrates that you are interested and are absorbing all the information. This alone can help as it shows that you value their opinion and are taking it seriously. This is especially important for senior staff and managers when they are faced with issues from employees. By allowing the other person to see that you are interested, they will often remain more calm and explain themselves more clearly. If we are able to express our views more clearly and are prepared to listen more attentively to the opinions of others, it is likely that anger will be kept at bay. Careful preparation of all the relevant information can also help strengthen our argument and allow us to make sure all the information is included giving other people the chance to consider these before they make speedy judgements about sweeping statements and lose their temper, which in turn can incite anger from the opposing party. Communication skills are absolutely fundamental for adults, especially those who work in high pressured environments when time is sparse. By improving our skills we should be able to make our environments a lot less stressful and hopefully less hostile allowing us all to understand and appreciate the views of others in a better and more mature way.